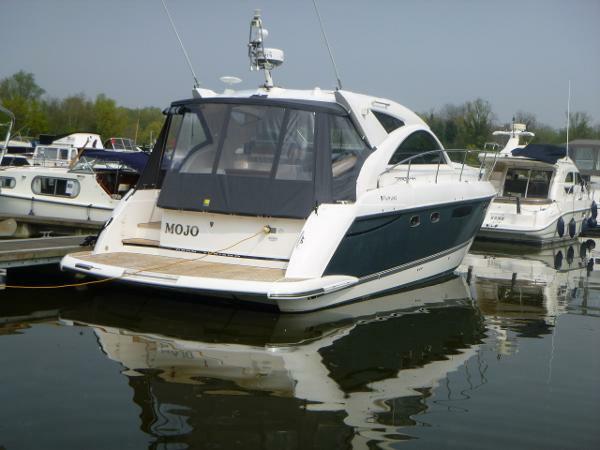 Mojo offers great space both inside and out and has the feeling of a much larger boat. 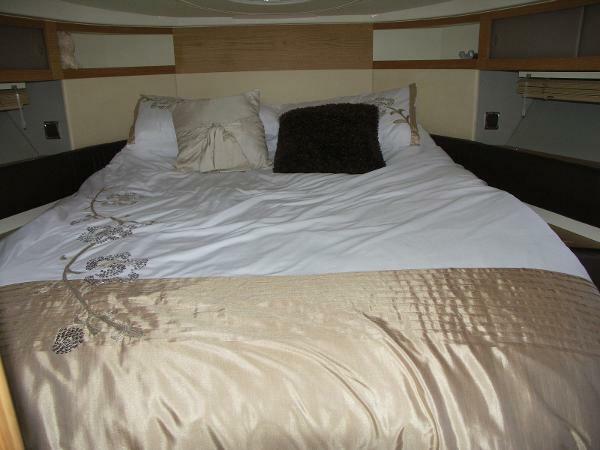 Luxurious accommodation with a sumptuous master cabin. 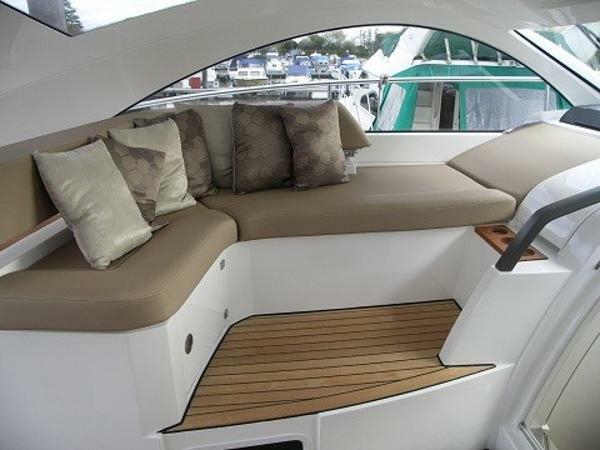 The large one piece windscreen and electric sunroof offers great visibility for ease of handling. 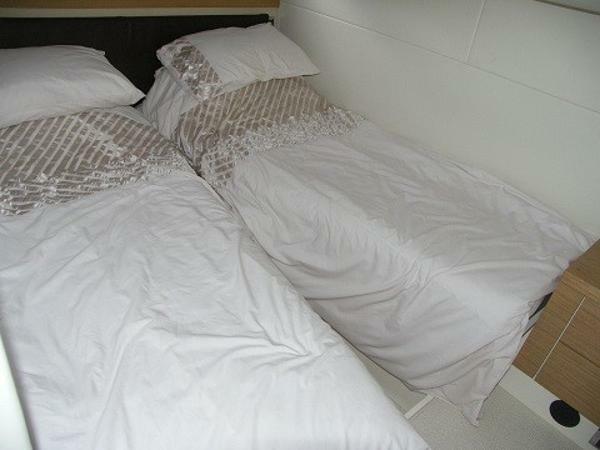 6 berths in 3 cabins. 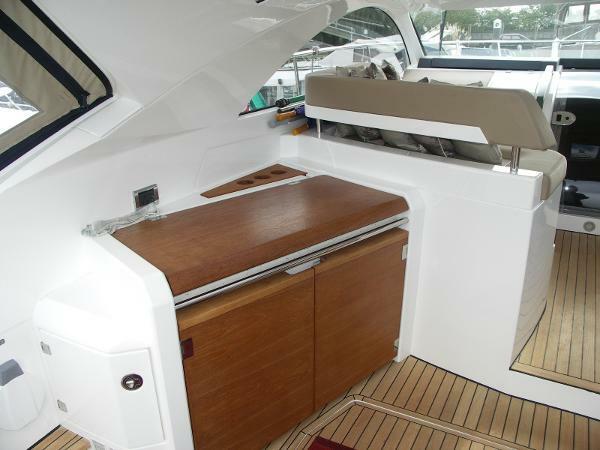 Board the boat via the bathing platform and the transom door to port. 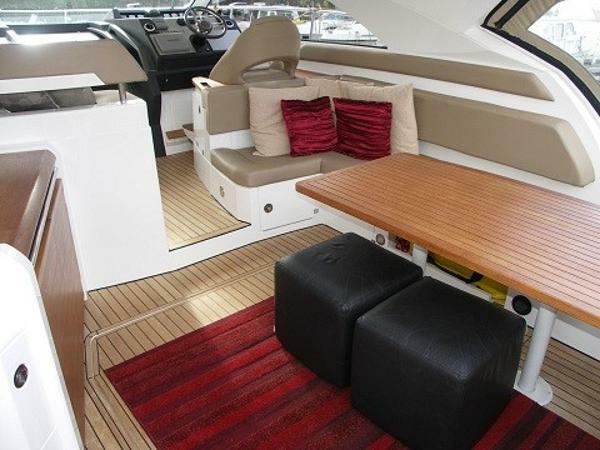 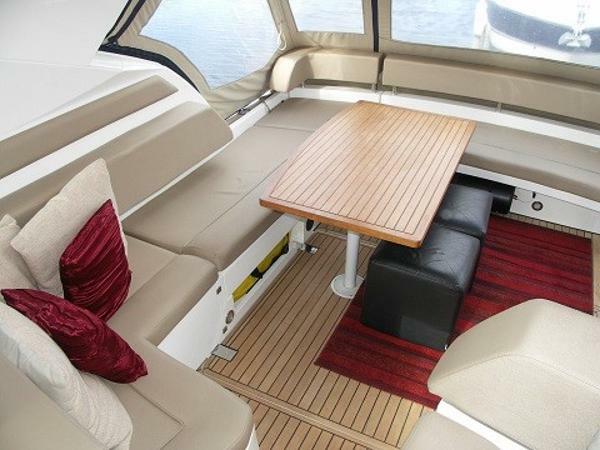 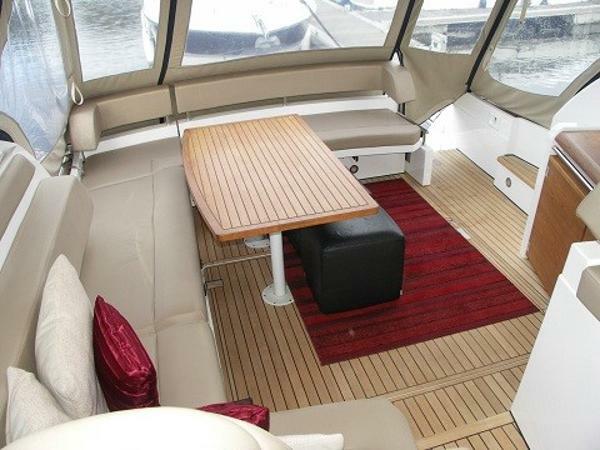 To starboard is U-shaped seating with a large cockpit table for alfresco dining and opposite to port is the cockpit wet bar with ice maker, BBQ, sink & fridge. 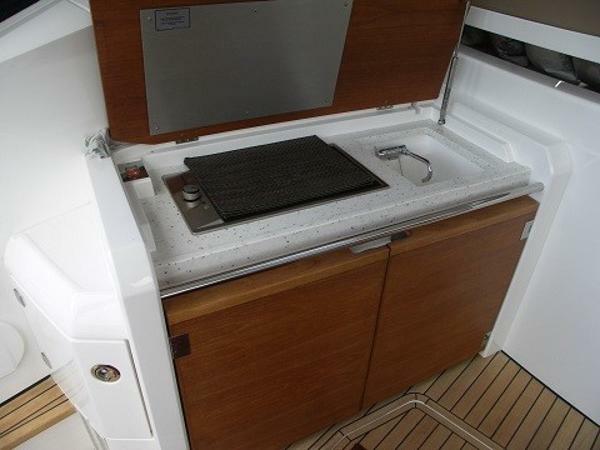 Up one step, to port is another bench seat and locker. 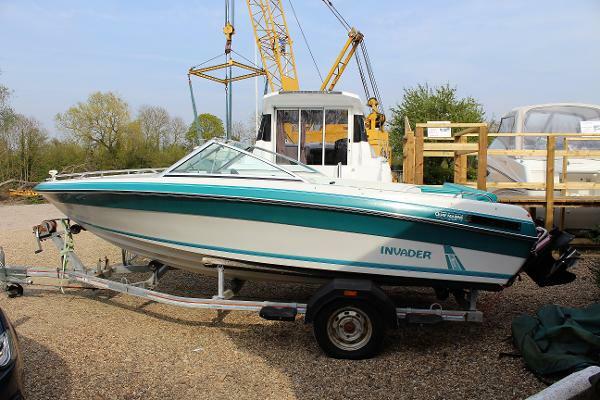 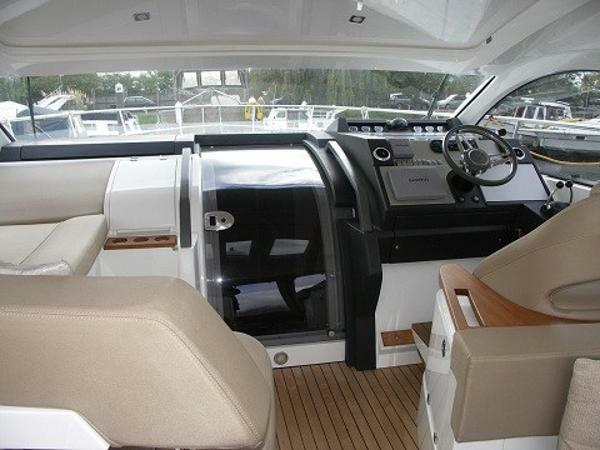 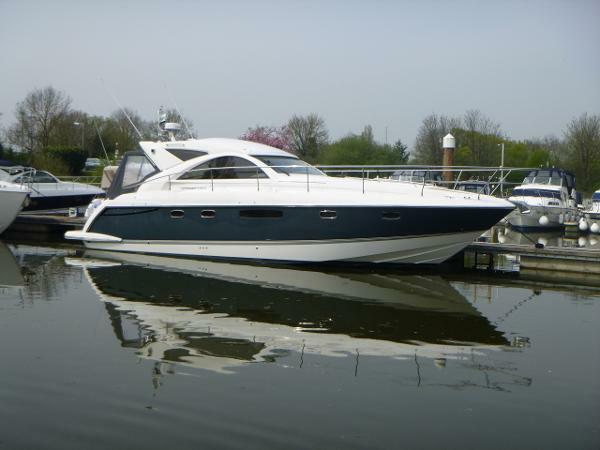 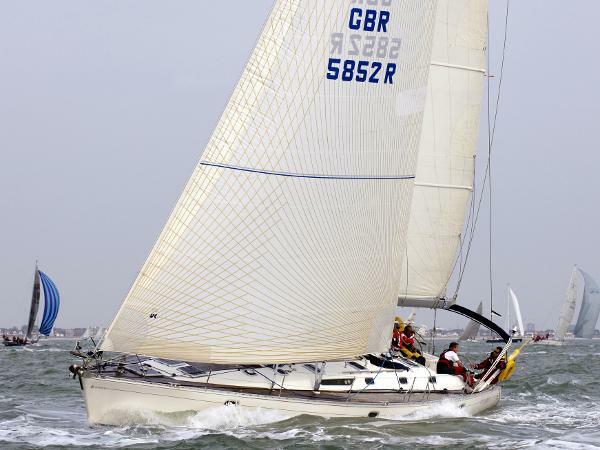 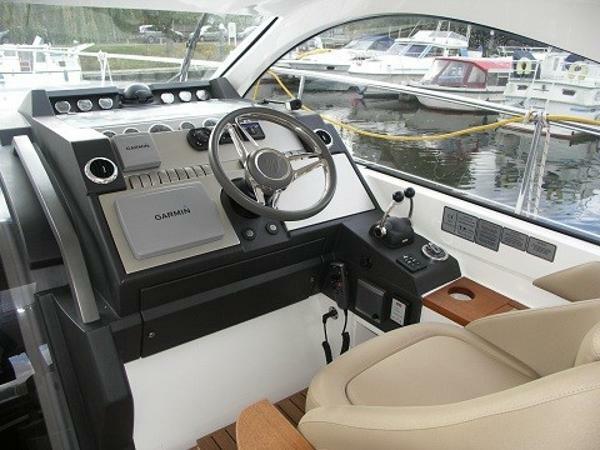 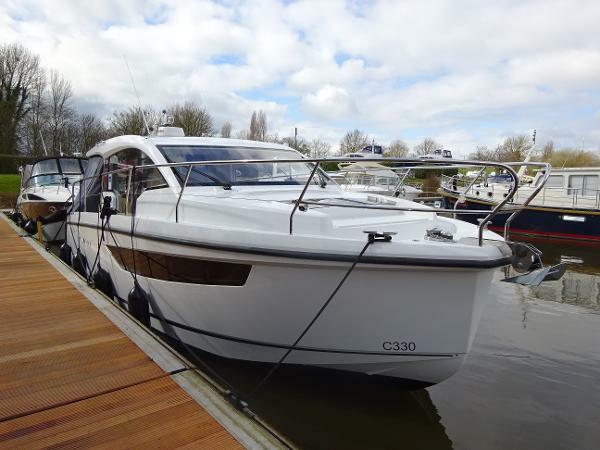 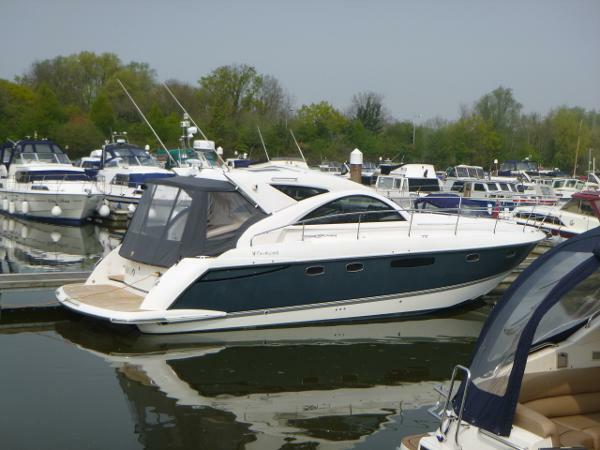 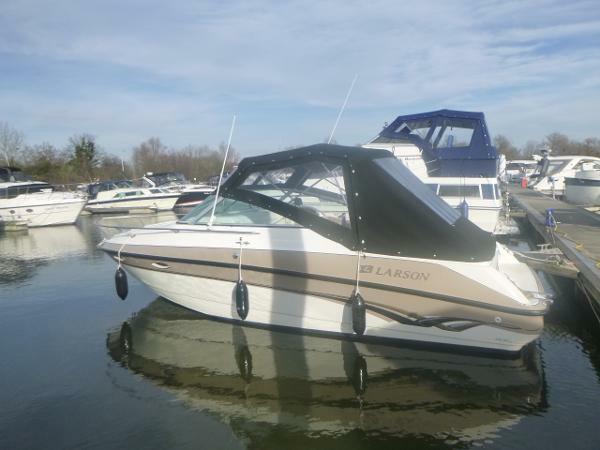 To starboard is the helm with full engine controls, a flip-up bolster seat and drop-down step to allow for viewing over the screen when the sunroof is retracted. 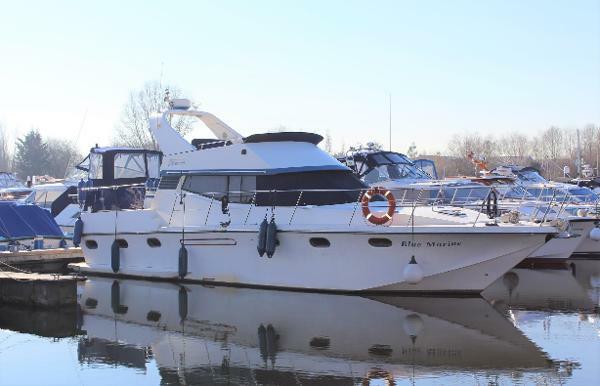 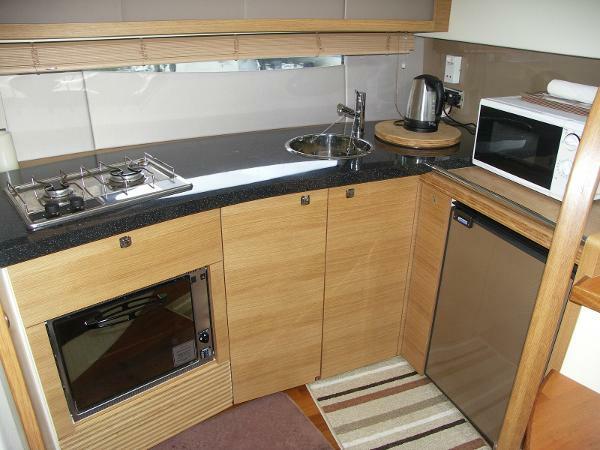 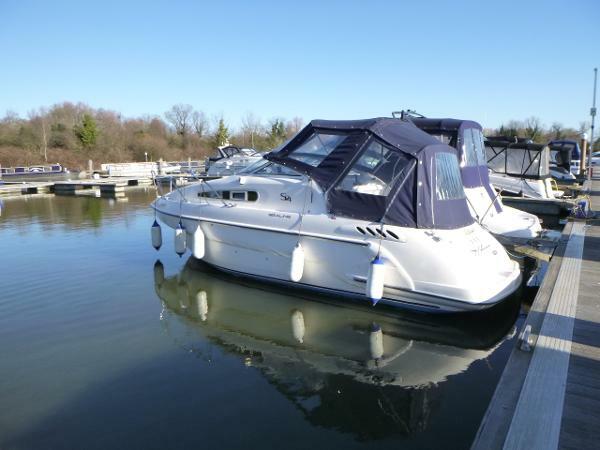 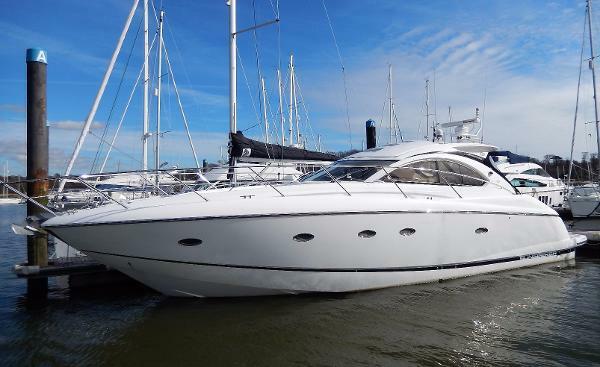 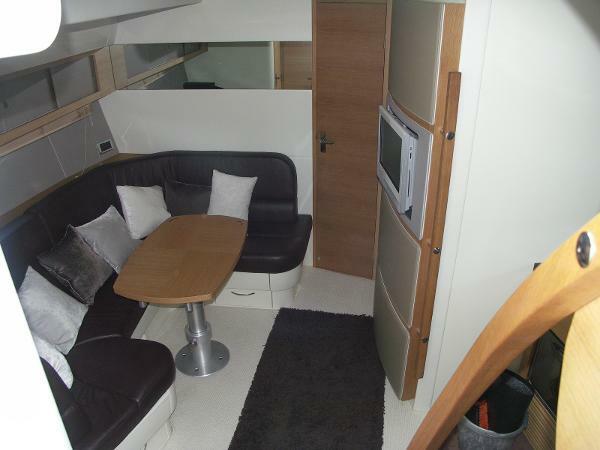 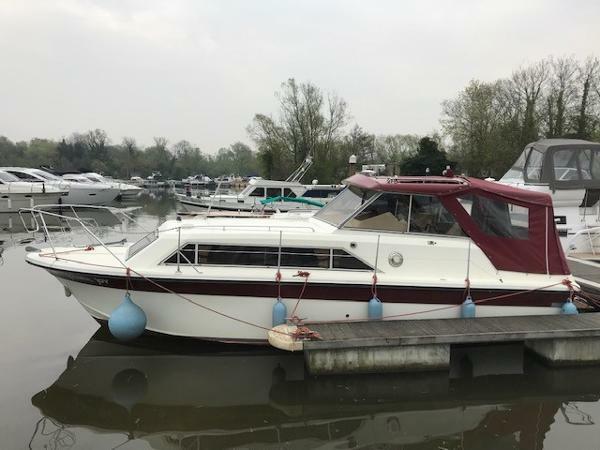 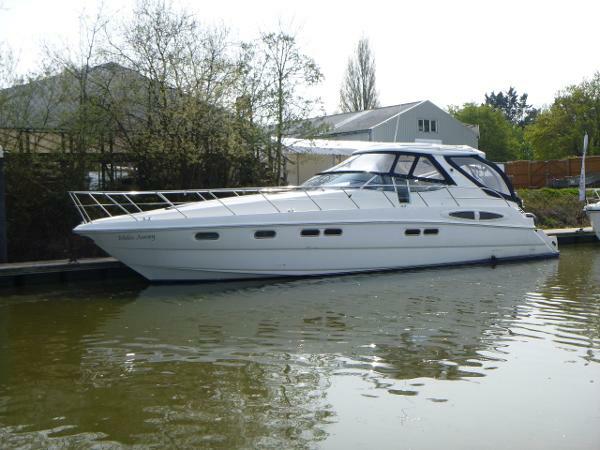 Down 4 steps in to the cabin, the fully equipped galley is to starboard and opposite is access to the aft cabin which has 2 single berths which can be converted to a double, a large wardrobe, draws and TV/DVD. 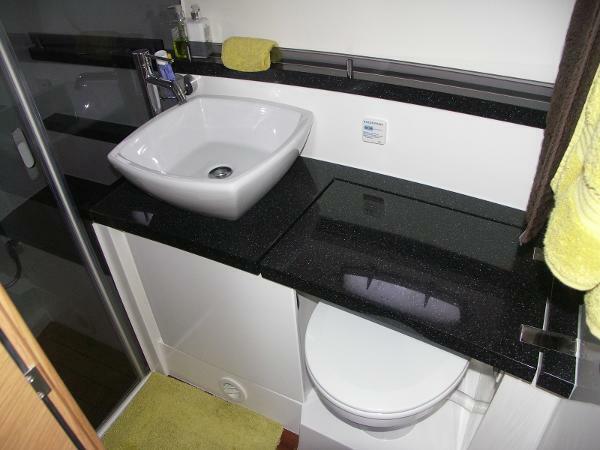 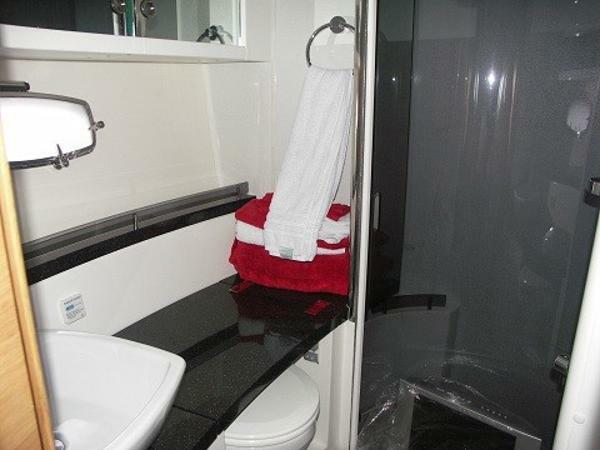 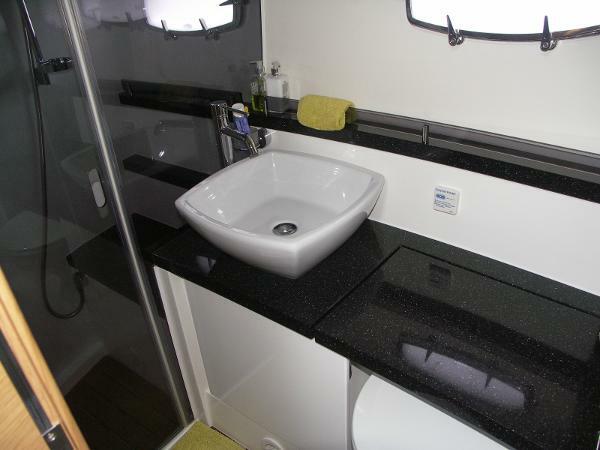 There is also en-suite access to the day heads/shower compartment which also has access via the main saloon. 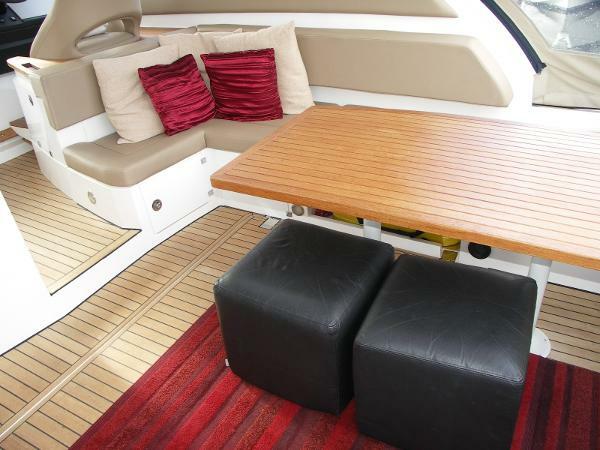 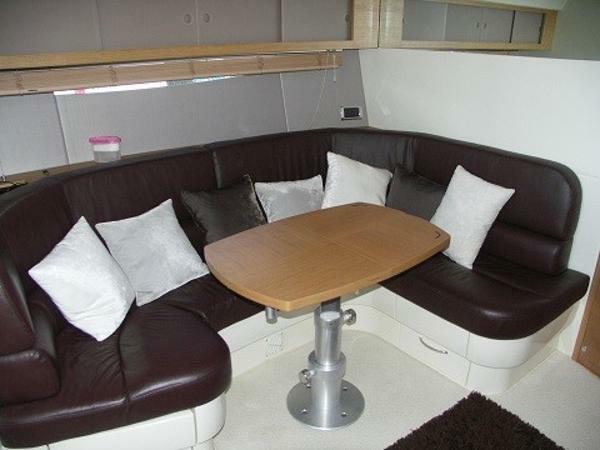 To port is a large U-shaped brown leather dining area with storage underneath and a table that drops to form a double berth. 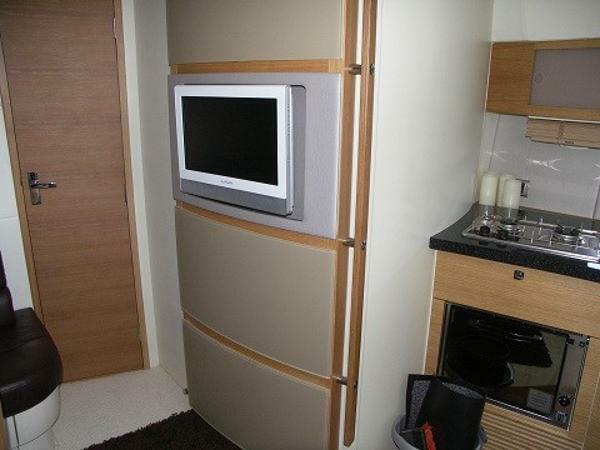 To starboard is a TV/DVD. 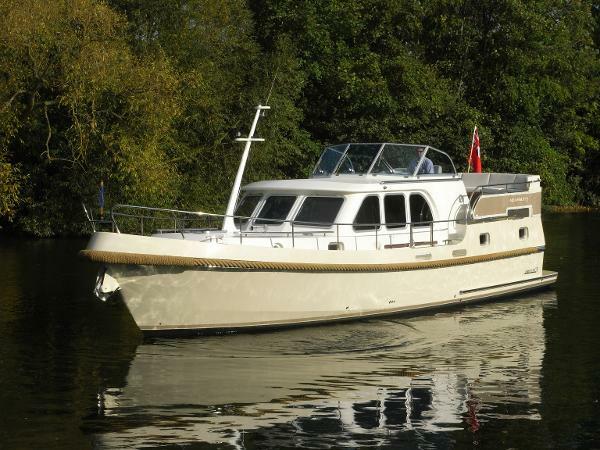 Forwards in the bow is the master cabin with a large double berth, a large wardrobe, drawers, overhead lockers and access to the master en-suite with toilet and walk-in-shower.